In addition to Bryce Hedstrom’s Persona Especial, I use Ben Slavic’s Circling With Balls (CWB) activity to personalize the classroom. 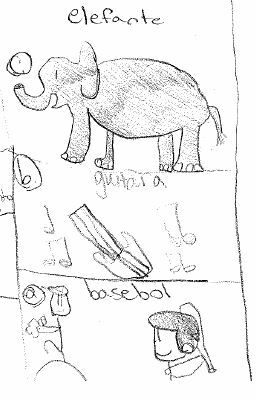 Today, on day 6 , I began this activity by asking students to draw some of their favorite things on an index card. If you have never heard of this activity, click here to read about it on Ben’s website. I’m going to share with you how I introduce the activity to the students. I did this in English. The reason I did it in English is because I wanted to do it quickly and efficiently. 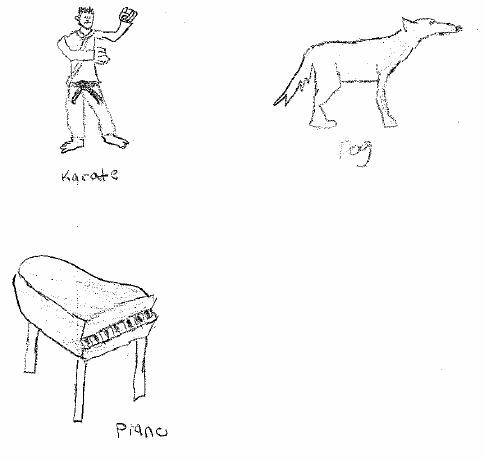 Doing the drawing is not part of the language lesson. Could I have done the presentation of this activity in Spanish? Yes. I could have. And I have done it in Spanish. However, I now believe it takes too long and is too filled with ambiguity to be effective. So I sacrifice 5 minutes of explanation for a stack of notecards that all have on them what I asked for. I started by asking my students if they have noticed anything up until now that would indicate to them that my class is a little different than some of their other classes. Even after only 6 days, students are surprisingly astute and articulate about the differences they perceive. They truly are tuned in. We use each other to learn Spanish here. I show a sample card on the projector screen. “We are going to use these index cards to learn Spanish based on what we all do and are good at. You will put your name in big print on one side of this index card. On the backside you will draw two lines to divide the card into three sections. 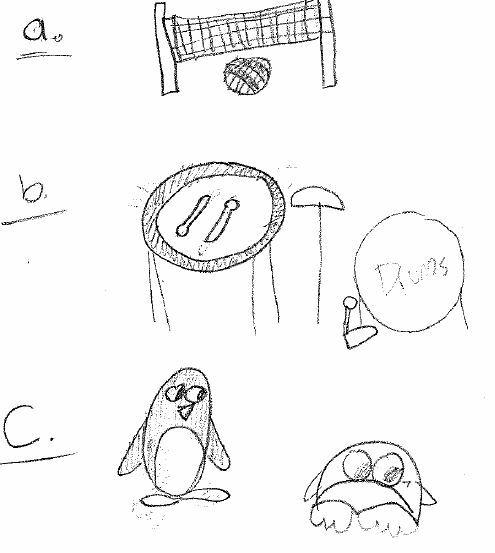 In section 1 draw a game that you are good at and like to play. 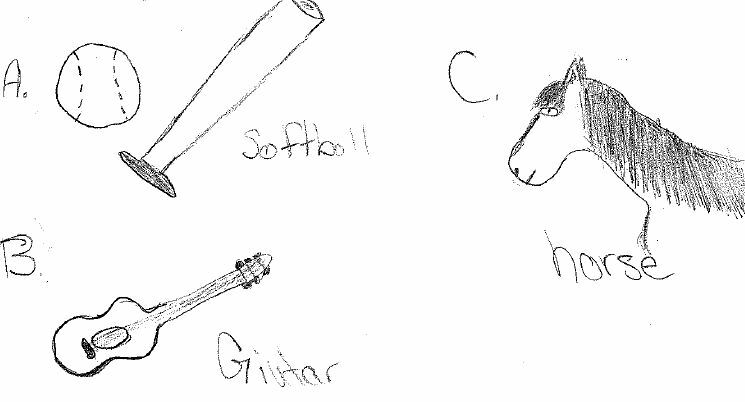 In section 2 draw an instrument that you play, have played or would like to play. Or draw another hobby or activity that you like to do outside of school. 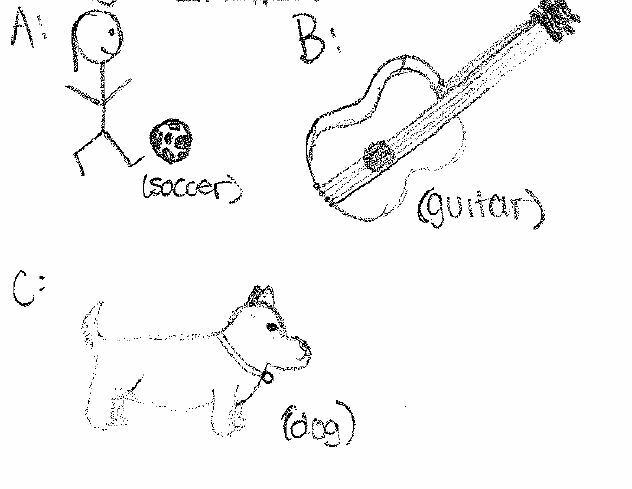 In section 3 draw a pet or pets that you own, have owned or would like to own. Or draw another animal that you like. If you really like unicorns draw one. 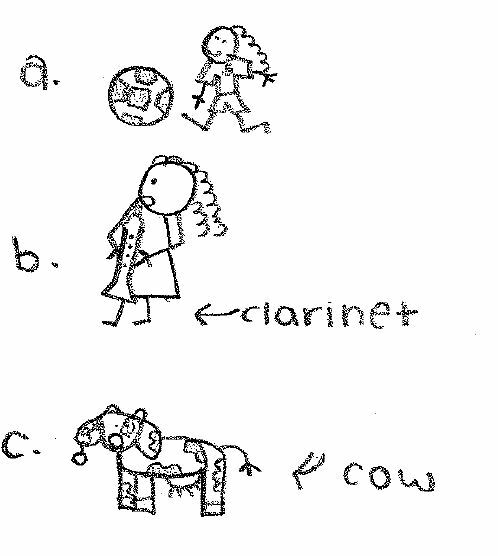 Use one word in English to label your drawings. Most of you draw really well but some of you draw cats that look like dolphins. If you don’t have any models to use, feel free to grab one of these here. I forget…why does he call it circling with BALLS? At the secondary level, many kids’ identities are tied to the sport they play. The Balls part, as I understand it, has to do with two things- the first is that talking about who plays what sport is easy because there is always an athlete present. But it also has to do with technique in that Ben holds a football when talking about a football player and my feign giving it to him during the class, but only does give it to him after he’s “earned” it by engaging, answering questions, etc. Does this continue somewhere? What happens next? What do you do with the cards?